At Goudsmit UK, our permanent magnets and magnet assemblies are designed to meet the unique needs of your application. Therefore, as a valued customer, you are assured of quality products, timely service and competitive pricing. Here is a self-serve repository of information pertaining to our magnetic products. In addition, we are happy to schedule a meeting to answer any questions about our industrial magnets, engineering components and CNC machining services. Ferro magnetism is the basis for many electrical and electromagnetic devices ranging from the refrigerator magnet to motors and transformers. It is a physical phenomenon that allows certain materials to become permanent magnets. Iron, nickel and cobalt (and their alloys) fall into this category. Rare-earth magnets are a relatively new class of exceptionally strong ferromagnetic materials. Magnets are either anisotropic or isotropic. Most permanent magnets available on the market are anisotropic. These magnets have a preferred direction of magnetic orientation and can only be magnetised along one axis. However, it is possible to reverse the polarity of the magnet, exchanging its north and south pole. Ferrite magnets are also available as isotropic versions, which can be magnetised in any direction. In the case of electromagnets, the magnetic field is produced by an electric current generated by a conductor. Typically, these magnets consist of a magnetic or ferromagnetic material (like soft iron) with a coil wound around it. In applications requiring a strong magnetic field, electromagnets are preferred to permanent magnets. The advantage of using them is that the magnetic field can be changed or turned off by controlling the amount of electric current in the winding. Hysteresis refers to the irreversibility of the magnetisation and demagnetisation process of a material. A study of the hysteresis loop of ferromagnetic materials shows the relationship between the degree of magnetisation (B) and the strength of the magnetic field (H). Naturally, there is no magnetisation without a magnetic field. Since the magnetic field is invisible, obtaining a complete, quantitative representation of it requires measurement of both its strength and its direction. It is possible to measure the exact field strength and direction of a magnet by using a Gaussmeter/Teslameter. Gaussmeters work because of the Hall Effect, a phenomenon discovered by Edwin Hall in 1879. Hall found that a magnetic field will impact the flow of an electric circuit. We now know that we can measure this impact to determine the strength of a magnetic force. Made from a ferromagnetic material, a permanent magnet retains its magnetism even outside a magnetic field. The internal structure of the materials keeps it magnetised. 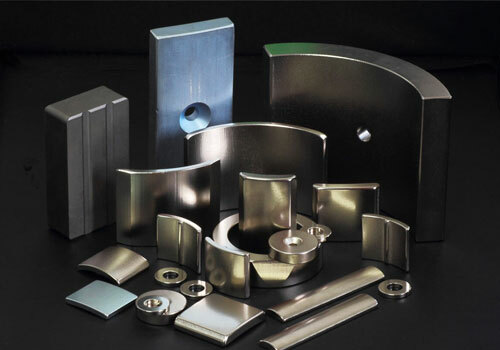 Permanent magnets were once made of steel but we now have a variety of better suited alloys for this purpose. Residual magnetism is what is left behind in ferromagnetic materials after the magnetic field is removed. This may be caused by magnetic fields from the immediate surroundings, such as clamping tables, magnetic conveyors or induction heating. Arc welding, machining processes, cold forming and mechanical vibrations could also contribute to the rest magnetism. Residual magnetism may have problematic and costly consequences, which can be avoided by the demagnetisation of the material. Goudsmit UK’s Neoflux® brand of Neodymium-iron-borion (Nd-Fe-B) magnets can be smaller than a penny, yet strong enough to lift over 10 kilograms. Handle them carefully to avoid personal injury and damage to the magnet. Sudden attraction to iron or steel can result in pinched fingers or skin. Made with special powders and coatings, they are brittle and break easily at temperatures above 150 °C or when slammed together. In such situations, the flying pieces may cause eye or other injuries. Ferromagnetic (or magnetically conductive) materials such as iron and steel (and their alloys) can be easily magnetised and depending on the type of material may retain their magnetic properties even after the magnetic field is removed. Generally, this ‘remanent’, ‘remanence’ or ‘residual’ magnetism is employed in engineering applications. Deformation or welding can also result in magnetism of non-ferrite stainless steel. Part of the Goudsmit Group, our UK magnet manufacturing firm, offers a wide range of precision parts in a variety of materials. Leverage our expertise in magnets, plastics, metals and assemblies to improve your bottom line. 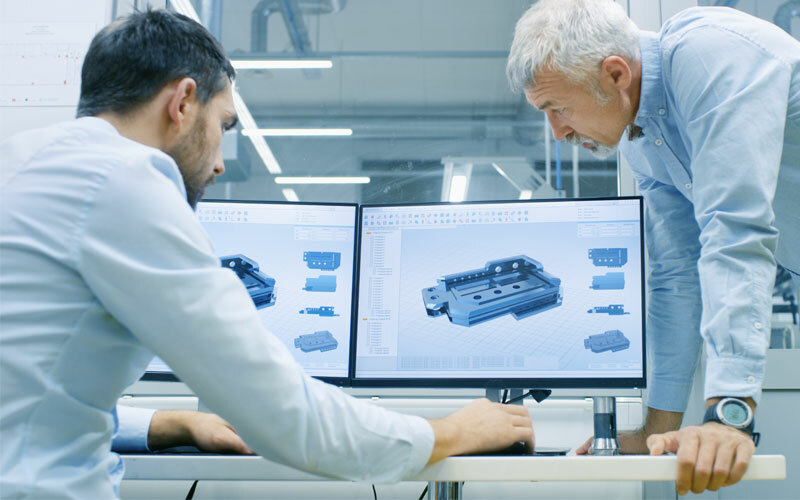 We offer high-performance,cost-efficient solutions for customers in the automotive, medical, renewable energy, oil and gas and aerospace sectors.